Avoid the stress of organising flights and luggage for your holiday! With return flights and 20kg checked luggage planned for you when you travel with My Bali the only thing you will need to worry about is enjoying the experience. Spend more time enjoying the beauty of Bali and less worrying about organising a taxi at the airport! When selecting this My Bali package, you will avoid that stress by being able to get to and from your accommodation with return airport transfers. Keep the kids entertained when you travel with My Bali! 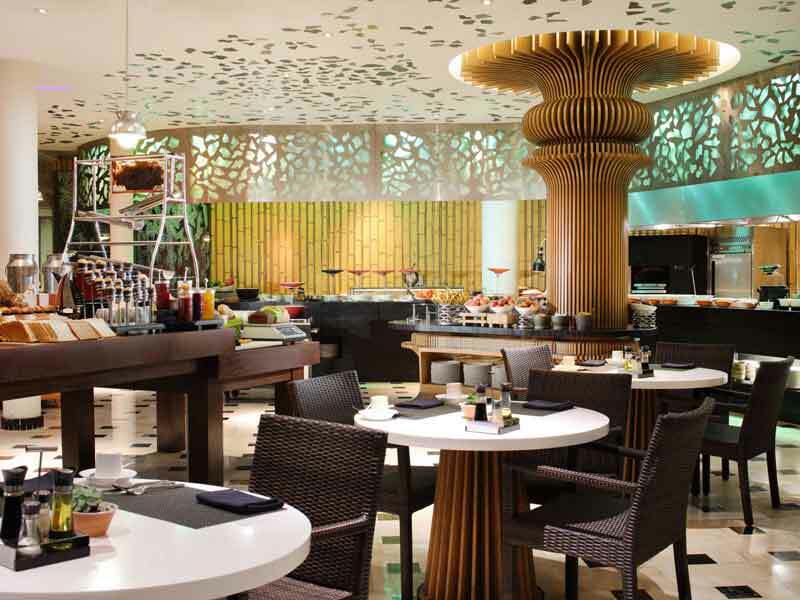 Children will receive complimentary access to J Kids Club and its activities. Start relaxing the minute you land, with VIP Arrival and Departure, including assistance through the airport and immigration, and access to the Premiere Departure Lounge on your departing flight. Natural light, lagoon views and a private outdoor terrace. 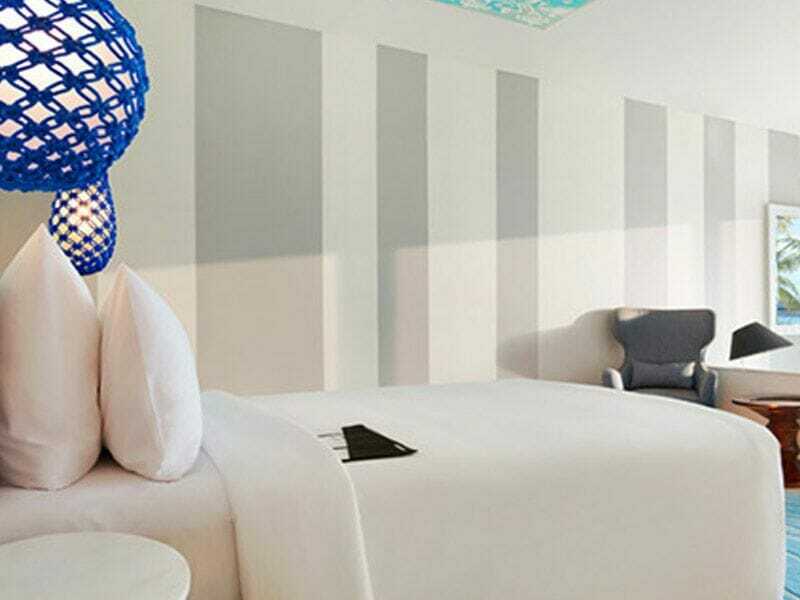 Lagoon View rooms are bright and contemporary and perfect oases in which to relax. They feature floor-ceiling windows, a fully-stocked minibar, deluxe King or Twin bedding and cots available on request. The bathroom, inspired by the resort’s luxury spa treatments, has a rain shower and bathtub, as well as Cinq Monde toiletries, bathrobes and slippers. Lagoon View Rooms offer up to 67sq. metres of space. They can accommodate up to 2 adults and 1 child. These rooms offer stunning views of the golf course next door and the surrounding West Maui mountain ranges from the private balconies. The comfort and elegance found in these rooms is complimented by amenities like a coffee maker and coffee, high speed internet access, concierge service and can accommodate up to four guests. This room is 41m2 & sleeps up to 3 guests (2 adults & 1 child). Aqua Studio Suite Lagoon View – UPGRADE from only $300! 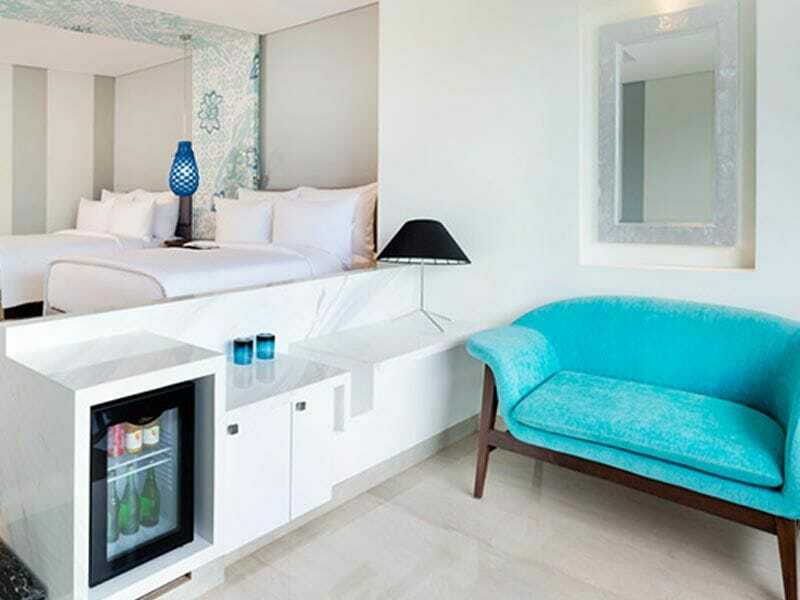 Enjoy direct access to the saltwater lagoon, relax on your private furnished balcony, or take a long soak in the bath—the choice is yours in your Aqua Studio Suite Lagoon View! Featuring state-of-the-art technology, such as a 3D smart TV and integrated Wi-Fi, these suites are ideal for the modern traveller. Embrace an impressive 82sq. metres of space, store your belonging in the walk-in wardrobe, sink deep into luxury King or Twin bedding, wake up with an espresso machine coffee and feel like royalty amongst the impressive marble finishes. These suites can accommodate up to 2 adults and 1 child. Cots are available on request! 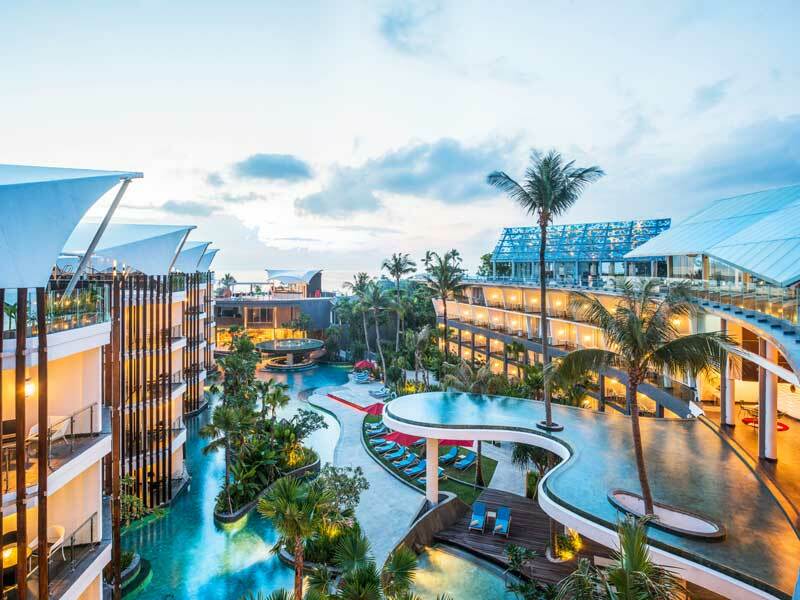 From the best family holiday you have ever had to the perfect honeymoon—Le Meridien Bali Jimbaran can offer you the Balinese getaway you have been dreaming of. 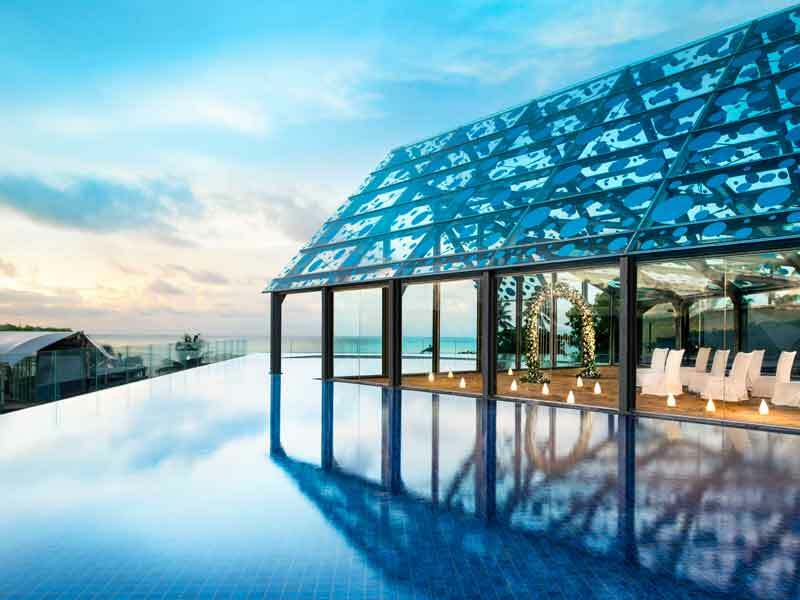 This 5-star resort effortlessly combines opulent modern design and luxury facilities with hints of Indonesian influence. 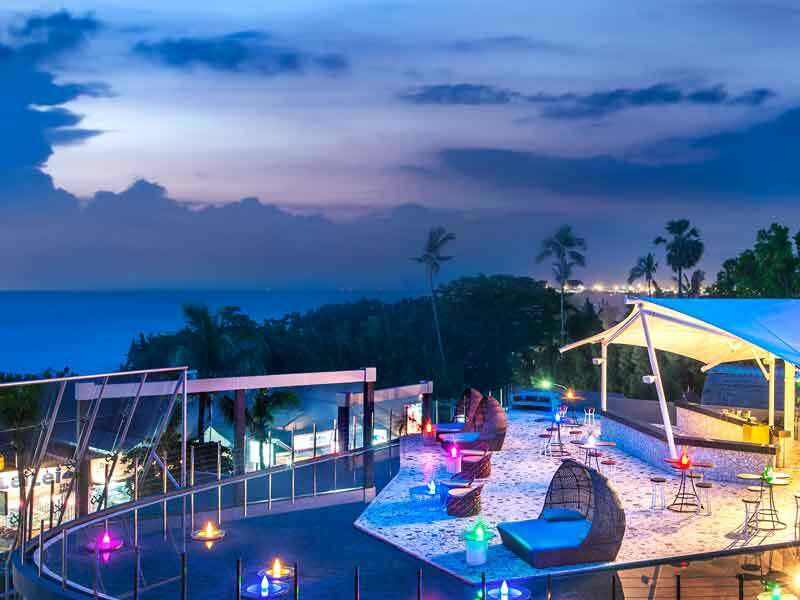 Boasting a swim-up bar, indulgent spa treatments, a kids’ club and a rooftop bar that’s perfect for sunsets, this exquisite resort can cater for all your holiday needs! 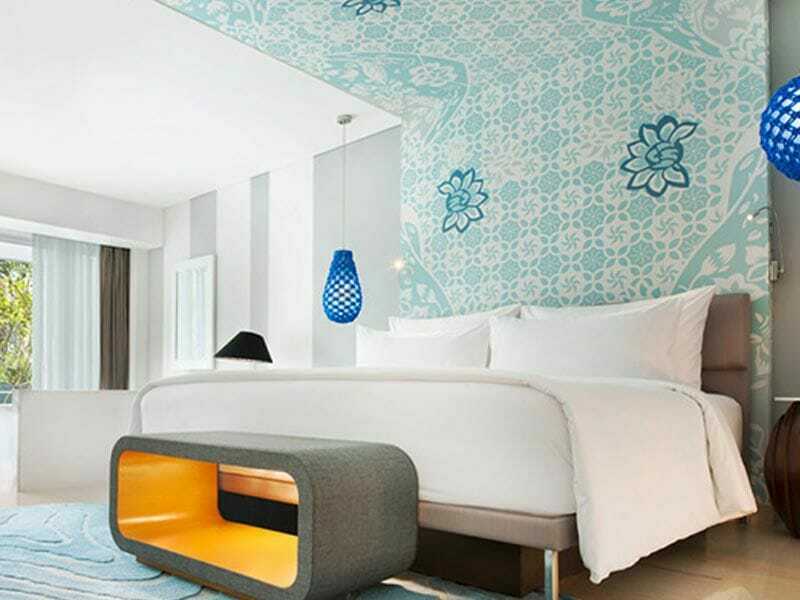 Click here to read more about Le Meridien Bali Jimbaran. ^AIRFARES are based on best available economy class airfares with various low cost carriers including 20kg luggage allowance per person. Flights may not be direct or operate daily and are subject to promotional airfare availability. Air surcharges apply during Australian school holidays and peak travel periods. Charges may apply for changes or cancellations to your holiday. *Wine, Dine & Spa Credit: This amount is to be credited to the guest’s room account on check-in which can be applied towards all food, beverage and spa treatments at the resort. WDS Credit cannot be applied towards external third party service providers e.g. Tours. 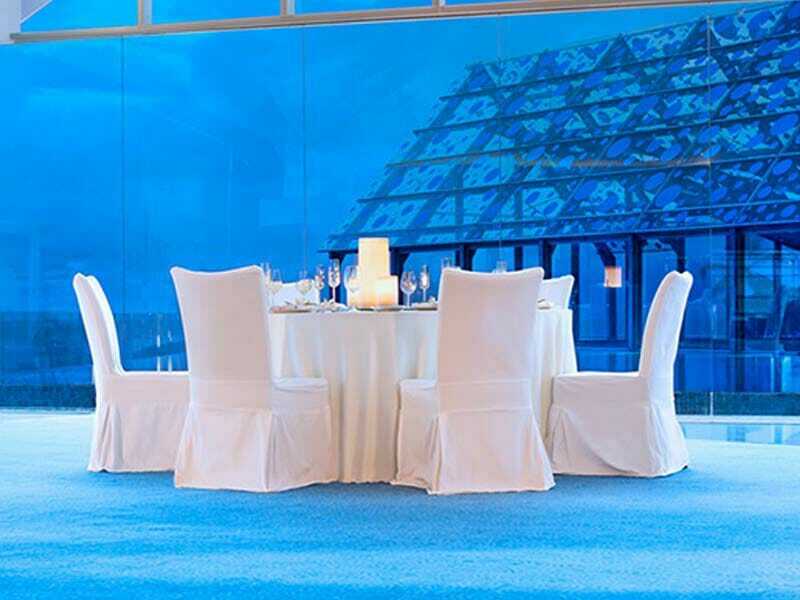 #Kids Play for FREE: Complimentary access to J Kids Club and its activities. Above tours all include a guide, return transfer from hotel and relevant entrance & parking fees. Tour choice must be advised at time of booking. This tour is non refundable and not transferable. Only valid for guests staying in South Bali and Ubud area. Guests are to meet their guide in hotel lobby on the day of tour.